Foreclosures & Short Sale - Find Foreclosures and Short for Sale in Wisconsin. Wisconsin Land for Sale - Vacant Land, Lots, Hunting Acreage for Sale in WI. Minnesota Land for Sale - Hunting Acreage, Ranch Land, Vacant Land, Building and Camp Sites for Sale in MN. California Land for Sale - Buidling Sites, Farm Land, Mountain Acreage, Ranch Land and City lot for Sale in CA. Arizona Land for Sale - Camp and Building sites for Sale, Ranch Acreage, Vacant Desert Land for Sale in AZ. Wisconsin Homes for Sale - Houses, Rustic Log Cabin, Single Wide Mobiles Homes and Luxury Waterfront Cabins for Sale in WI. Rent to Own - Properties for Sale offering Rent to Own in Wisconsin. Log Homes for Sale - Rustic Log Cabin for Sale in WI. 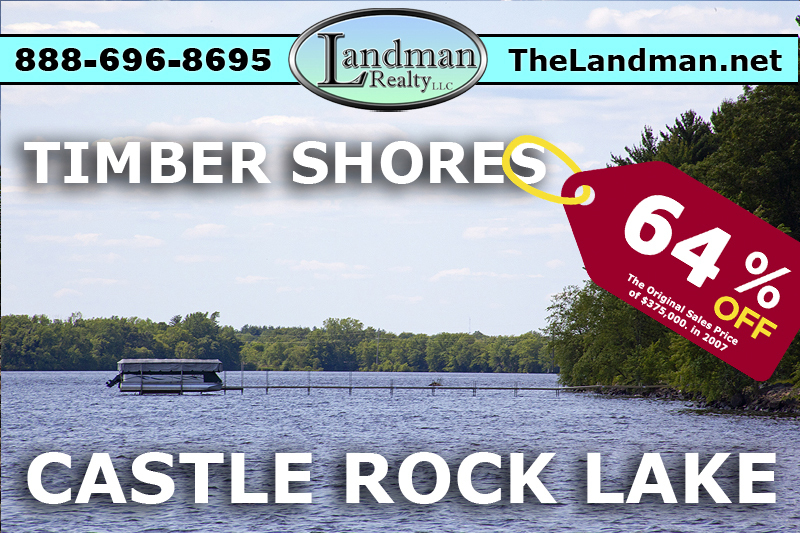 Wisconsin Waterfront & Access - Lakefront Properties, Riverfront Homes, Waterfront Lots for Sale in WI. Michigan Lakefront Properties - Waterfront Properties, Creek Acreage, Private Ponds, Lakefront Log Cabins for Sale in MI. Tree Service - Gentle Harvest Tree Trimming Service, Log Prep, Building Site Clearing, Saw Mill, Rough Cut Lumber, Firewood and more. Photos - Images, Artwork and Pictures of Wildlife, Natures, Places, Things and Macro Photography. ATVing - Informaiton, Maps and more on ATV routes and Trailers. Snomobiling - Snowmobile Trails, Routes, Maps and infromation for WI. Wisconsin-WI - Information, Photos, News, Business, Events Calendar, Ads, Jobs, Stuff for Sale in Wisconsin. Adams, WI. - Local News, Business Directory, Pictures and Information on Adams County Lakes & Townships. Lake Petenwell - Wisconsin's 2nd Largest inland body of Water; find real estate, photos, video plus information on boat lauches, developments, campgrounds and more. Tri-Lakes, WI. - Information on Rome Township of Adams County, Wisconsin including the Tri-Lakes; Lake Arrowhead, Lake Camelot & Lake Sherwood. Website Development & Design - Building Websites. Buy Trade Sell - Free Online Classified Ads "Keeping Trade in between Buyer and Sellers"
Commercial Properties - Businesses & Commercial Properties for Sale in Wisconsin.